The sovereignty of the IRON Order lies with the Council as a whole, and not with a single Councilor or the IRON Orders Officers. 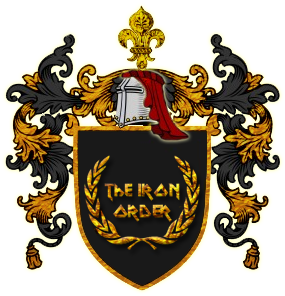 Members of the IRON Order owe their loyalty to the Council as a whole, and their highest duty is to serve the Council and the Republic. Always the sitting President of IRON. 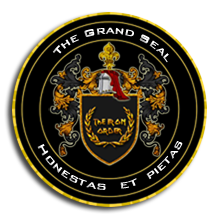 The Grand Chancellor acknowledges the President of IRON as the Grand Master of the Order when the President assumes Office of the President. The acknowledgement is notified to the Keeper of the IRON Order Seal. -awards the decorations of the Order on behalf of the IRON Council. Always the sitting Minister of Defence. Minister of Defence is confirmed as Grand Chancellor of the Order by the Grand Master when he assumes Office of the Minister of Defense. -represents the Grand Master in his absence. Elected amongst one of the Councilors or Members of the Order. A candidate for the Office of the Keeper of the Seal is nominated by a Member of the IRON Council. The said candidate is elected if he receives approval of every Member of the IRON Council. -is in charge of the Order archive. Members of the Republic may be received in to the IRON Order for eminent merit, while having displayed the highest sense of duty and never waiving honour. The decoration may only be given after all Council members have agreed to the nomination. -must hold Office (Job) of Presidium or higher rank equivalent when awarded (for 1st and 2nd Class). -must hold office of Council or equivalent rank (for 1 st class). 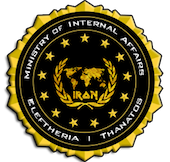 When a foreign alliance member is awarded with the IRON Order, he may be awarded directly with a higher rank award if the above conditions are fulfilled. The awarded foreign alliance member is not admitted to the order and his award does not count against the quota. -for any action against the spirit for which the decoration is given. Withdrawal may be proposed by any member of the Council. The decoration is withdrawn if a majority of the Councilors support the withdrawal. There may be only Fifty (50) decorations at any one time. Grand Master holds the decoration of the Grand Cross, Grand Chancellor the decoration of the Grand Officer and the Keeper of the Seal the decoration of the Knight-Commander. The decorations held by the Officer of the Order don't count against the quota. Every awarded member is inscribed in the Golden book of the Republic; with his full name (Ruler Name of Nation Name), rank of the decoration, and date on which the decoration was awarded. Recipients portrait (avatar) is added to the Gallery of the Order. 1. Any Council member may receive the Grand Cross (without having prior received the previous classes) upon retirement from Council, should the other Councilors decide that such an exception is merited. Should this happen the awarded former Councilor will also receive the title Pater Patriae. In such case the decoration doesn't count against the quota. 2. Every retiring Council member automatically receives the decoration of the Knight of the Order upon retiring (or the next higher class if already holding any other class), if none of the remaining Councilors objects. 3. If the recipient of the decoration at any point after being received in to the Order leaves the Republic, and joins a Foreign Alliance he may keep the decoration but forfeits his right to be a Member of the Order. In such cases the decoration doesn't count against the quota. 4. If the recipient of the decoration at any point after being received in to the Order leaves the Republic and Cyber Nations (CN), than his right to be a Member of the Order and wear the decoration ceases.